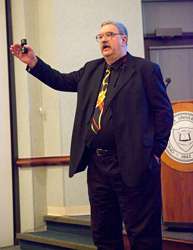 These lectures from James Oberg on a wide variety of space-related topics are entertaining and enlightening. They can be tailored in length from 30-40 minutes to two hours, and can use 35-mm slides or powerpoint projectors. Contact Jim directly for details and scheduling. Spaceflight Safety – It’s Not Just ‘Rocket Science’ – As the ‘point of the spear’ of American science and technology, spaceflight has always been inherently risky. But NASA’s bitter experience with the loss of two space shuttles (each with seven astronauts) and other expensive space probes provides lessons for anyone back on Earth who must deal with high-technology hazardous operations. This is because ‘space safety’ involves the application of principles also common to Earth safety, and because NASA’s greatest disasters occurred not because space itself was too hard, but because segments of NASA’s teams were too soft – they forget lessons that earlier generations had learned, often at high price in time, treasure and lives. As NASA must ‘fight the forgetting’ and revive its safety culture, workers and officials in other industries can benefit by seeing the common thread that runs through ‘hazard-control’ in space and on Earth. “Cosmonauts and Cosmo-NOTS -- the history of Soviet space photographic forgeries and the lessons for the future.” In the early years of the Space Age, the Russians retouched dozens of photos of their cosmonauts to conceal unflattering information about accidents, setbacks, and misbehavior -- but Western investigators (led by Oberg) found original versions of the images and tracked down what the erased cosmonauts had really done, or had done to them. Yasniy of Siberia -- The World’s Newest and Most Profitable Spaceport”. Since 2006 a Russian-Ukrainian commercial space launch team has been launching satellites for Western customers from an active Russian nuclear missile base in southwestern Siberia. 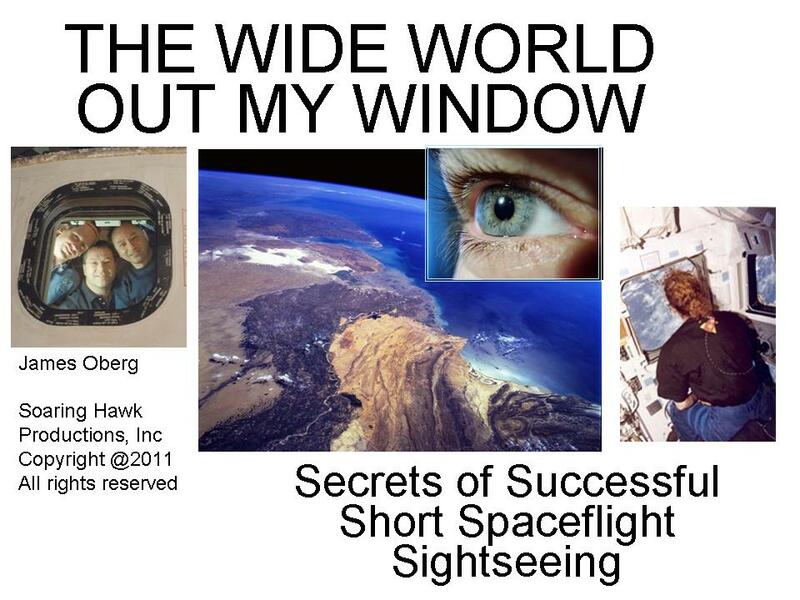 Oberg is the only space journalist to attend such a launch, and he describes the facility, its history and its future, is revelations and its secrets, and his investigation that identified exactly which retired missile silo is being used for these missions. 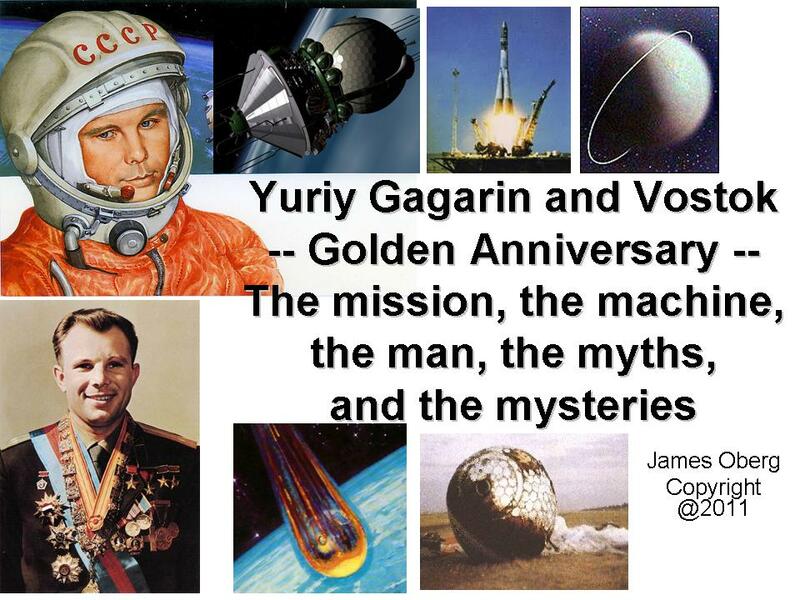 Russia’s Space Program at 50 – Where Now? Fifty years after Sputnik and more than a decade after the collapse of the Soviet Union nearly bankrupted their space industry, the Russian space program possesses significant resources for future expansion. It maintains its preference for evolutionary space designs – its human spacecraft, Soyuz, is based on a 40-year-old design carried into space by a rocket that evolved directly from the one that carried Sputnik on October 4, 1957. Major portions of its space program – science missions, weather satellites, reusable boosters – died with the USSR, but its new strategy relies on international partnerships to provide funding and technology that its own government remains unable to provide. Tourist Guide to the Baykonur Cosmodrome – Western visitors have become common at the formerly top secret spaceport in Central Asia, but the secrecy there has only slowly faded. Only in the last few years have reliable maps, high-resolution commercial space imagery, and open access to historical memoirs created an unprecedented transparency for foreign visitors to fully experience the history of triumphs and tragedies that the space center is immersed in. Oberg is an experienced, insightful story-teller who can triple the calue of any ‘space tourist’ visitor to Baykonur. Oberg discusses what is officially and unofficially known and suspected about 'Fobos-Grunt' and the current November 2011 launch date. The mission is a crucial experiment in determining the future role of the Martian moon ‘Phobos’ in human exploration of Mars – as a shelter and base, as a resource for fuel and water, and as a ‘stepping stone’ to further goals. In 1996, Oberg sleuthed out the actual impact area (on dry land – not the ‘deep ocean’ as officials claimed) of the radioactive fragments of the last Russian Mars mission, 'Mars-96', and he assesses the past weaknesses in Russia’s Mars probes, and the degree to which these weaknesses have been remedied. Pall Over Apollo (Lessons of the ‘Moon Hoax’ Myth) – As an attention-grabber for middle and high school science classes, the widespread notion that the Apollo moon landings were somehow faked is a perfect tool. Everybody has heard the stories, and many wonder how true the accusations are. But application of scientific principles and performance of experiments in classrooms and at home can demonstrate that the science of moon flight is sound and that with intelligence and experienced judgment a young person can reasonably hope to see through this myth and similar ‘science frauds’ that they will encounter in their roles as students, consumers, voters, jurors, parents, and all-around human beings. The coverup that took forty years to unravel, how top-secret Soviet military missile and space activity early in the 'Space Age' sparked mass "UFO flaps" across the USSR and hopelessly polluted the outside world's "UFO data base"
NEW: Feb 2, 2006: “Russia - Candidate Roles in the Exploration Vision”.